New efficiencies in supply chains and production facilities. Societal improvements with smarter cities and 24-hour health monitoring. More easily detecting security, safety and quality threats. Business models that will lead to new revenue channels and a better customer experience. However, this promise is not so easy to achieve. Realizing the benefits of IoT requires analytics insights, derived from streaming data that can be combined with other relevant information from inside and outside the organization. Let’s use a truck manufacturer as an example. A critical shipment is on the road in a truck that is equipped with on-board analytics. Data streams from dozens of sensors that monitor the truck’s parts, and performance and alerts are sent to the driver as needed. The on-board analytics gives an early warning when a part is likely to fail, along with the estimated time to failure. Using schedule and planned route data, a dealer along the route can be found, and the truck scheduled for maintenance. An automated scheduling system can ensure that the truck is scheduled after all deliveries are made, so the critical shipment is delivered on time. Organizations are discovering that standardized analytics platforms offer advantages similar to those realized years ago from standardized ERP and office productivity platforms. If you’re not as advanced with IoT as this manufacturer, how should you get started? To leverage streaming data and realize the promise of the Internet of Things, I suggest looking at the three categories below – and devising an overarching strategy that considers all three. Sensing is the act of listening to all of the relevant data and finding the signals amid the noise, including data that’s coming from devices, data historians, social media and production systems, to name a few. To sense effectively, you need to consume and manage large volumes of data, and manage the extreme pace at which IoT data is created. Sensing, or detecting signals in IoT data, is accomplished through advanced analytics and machine learning algorithms that are applied to the data, either once it has landed in a storage system or even while it is still in stream. In-stream analytics analyzes and takes actions on IoT data as it is being generated, detecting patterns of interest as they occur throughout the IoT ecosystem. Just as the potential failure of the part was detected in advance by the trucking company in our example, in-stream analytics can accelerate time to detection, and allows you to respond to real-time opportunities in your IoT data. Even in our everyday lives, we need the right data and the ability to reason in order to understand and take action. In business, the inputs needed to understand our environment are often much larger, faster, and not always as clean. To understand IoT data, you need a system that can handle large, fast-paced and sometimes dirty data with a full range of analytics tools – including the ability to ingest data, visualize, hypothesize, and then test with statistics and predictive analytics – that can also manage and monitor deployed models. We call this the full life cycle of analytics and see it as the key ingredient to finding useful answers in IoT data. It needs to work for a wide range of users, giving them everything from simple descriptive analysis to advanced predictive models. And it must be integrated for efficiency and accuracy. There is no value to sensing and understanding if you don’t act. Acting effectively requires the right technology, culture and processes. When you can embed analytics inside operational systems as well as at the edge of the network, closest to the source data, you are given a stronger ability to act on your IoT data. Your ability to act is also improved with real-time decision management capabilities and automated response options, like real-time customer offers or alerts that are sent to request further evaluation. But technology alone won’t ensure action; you must have the right culture and processes to support decisions. Trusting the signals and conducting root-cause analysis will help. Action can include what alerts to issue where and to whom; how systems or applications should respond to a detected pattern; and even what portions of data should be streamed elsewhere for further investigation. This continuous analytics cycle helps organizations adapt to new data and situations in order to take full control of their IoT environments. If you’re feeling like these three categories overlap a bit, you’re right! IoT analytics represents a different way of looking at the traditional process of sourcing, storing and analyzing data. The sense, understand and act categories are very much interconnected, and often don't represent the traditional linear view of analytics. The good news is that traditional analytics and this three-step approach to IoT analytics can both be served with a modern analytics platform. Instead of focusing on a set of “capability standards” and choosing separate vendors for data integration, analytics and visualization, you can accomplish all of those tasks with a single platform. When you’re working at the speed of IoT, it helps to have one, integrated platform that supports all of these functions, scales appropriately and appropriately leverages IoT data. Organizations are discovering that standardized analytics platforms offer advantages similar to those realized years ago from standardized ERP and office productivity platforms. 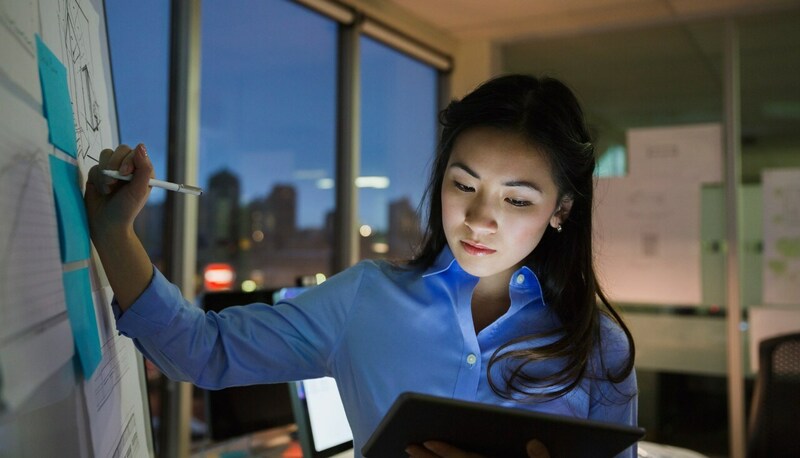 As analytics grows in importance – particularly with the introduction of IoT data and the new business value it can provide – many IT organizations are recognizing that sensing, understanding and acting are interconnected. And because of that connection, a more holistic platform is even more important. Learn more about the Internet of Things and why it matters. Read about the real-world impact of IoT in four use cases. Check out the latest IoT thinking on the SAS blogs.